Superheros 2 Fighting Games - Feel the power of the Heroes and liberate humanity from evil raging on Earth villains, leading a battalion of fighters who will become a legend of the superheros.Use all your strength and your skills in mma, kung fu, wrestling, street fighting, boxing in this epic battle for survival of the human species. Choose your character in more than 36 heros, you'll train them in the training mode and upload your skills and damage to the street fight, using its multiple combos, punch and kicks to stop the forces of evil. Use the power of your hands and get knock out your opponents in this fight for the world championship super fighters, fight with all your strength and get unlock and level up different heroes, you'll have your alcancea through winning battles . Superheros 2 Free Fighting Games is the best game for free fights you can find in the market because it contains purchases inside and can play every day of your life without spending money. - Choose from 36 superheroes. Feel the best wrestling and boxing together in this incredible delivery Superheros 2 Free Fighting Games, feel the adrenaline in your hands, and shows who is the champion of street fights. Enjoy the mortal combat for control of world wrestling scene in a struggle to reach the final, thanks to the best free games of street fights of super heroes, feel the realism of combat as never before done. If you like Heroes 3D fighting, download your fists and demonstrates that won the battle of your life and liberate humanity from the clutches of evil this game of free fight. This free game is financed by ads from our partners inside, note that Superheros 2 Free Fighting Games depicts a fictional universe, it is not affiliated with promotions actual fight or marks. 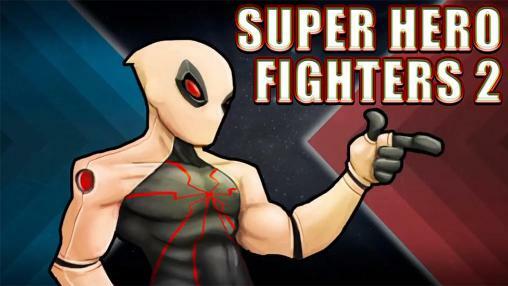 Superheros 2 Fighting Games: install APK and play the game!